Hello! We can’t wait to see you in store! Please see below for a description of our change rooms available. Then click on the button below to book an appointment. 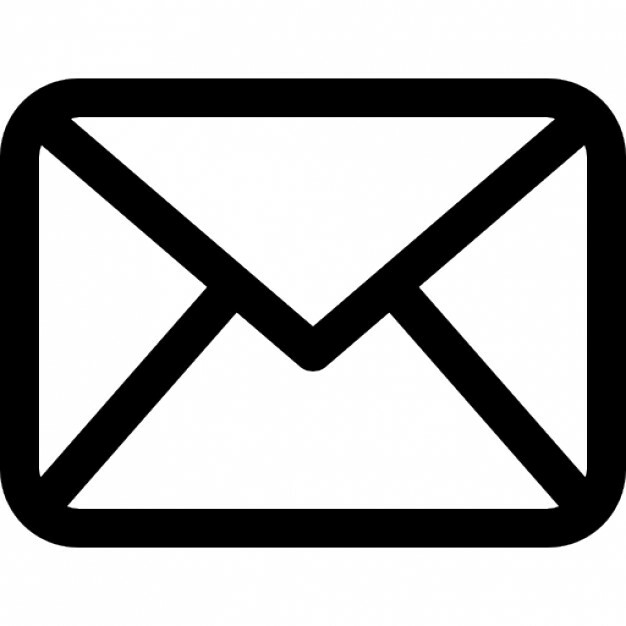 You will receive an e-mail confirmation within 24 hours. This a semi-private room where up to 7 guests can come with you and you have a guaranteed one on one consultant. Appointment time is 2 hours. This a semi-private room where up to 5 guests can come with you and you have a guaranteed one on one consultant. 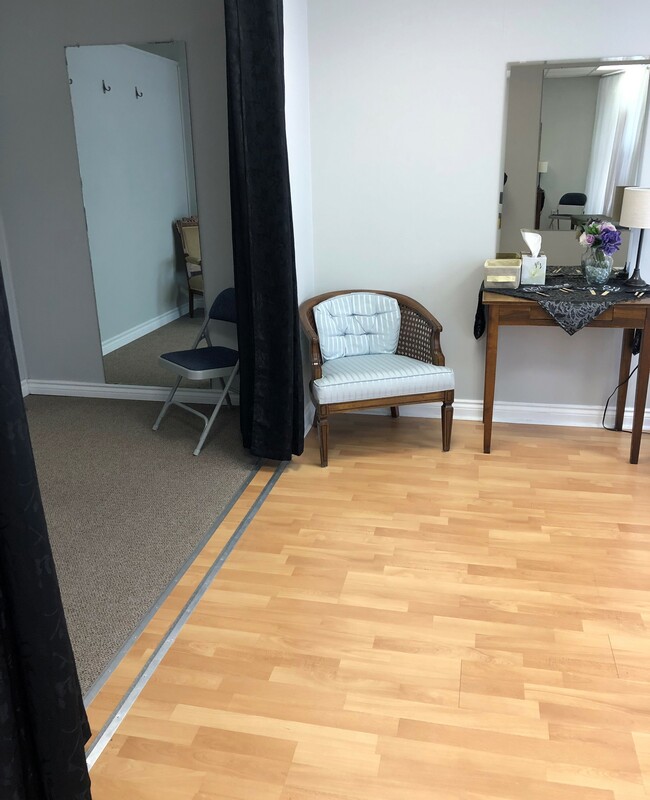 A generous size change room, and seating for up to 3 guests. Appointment time is 1 and a half hours. 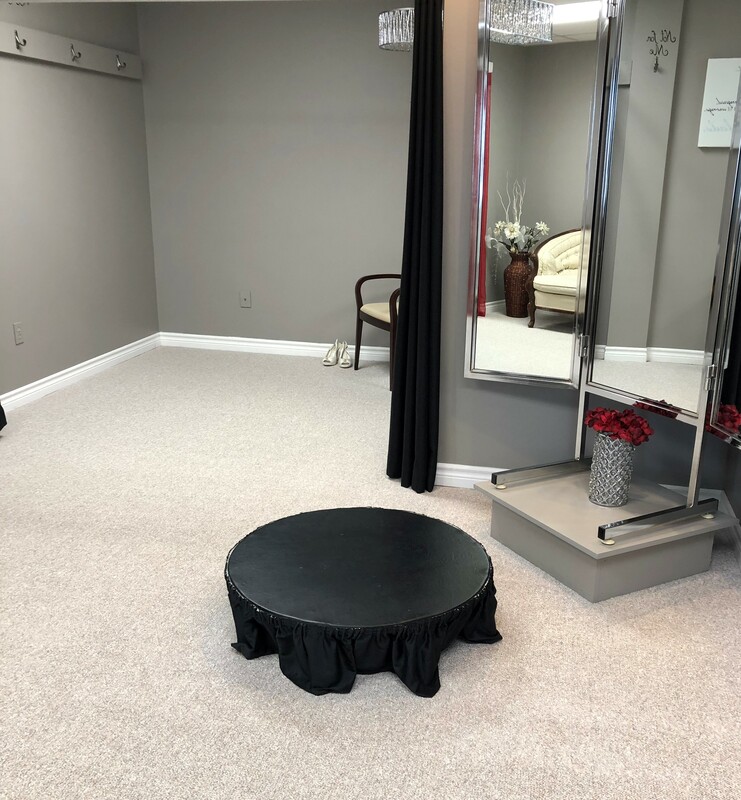 We have a wonderful new bridesmaid room. 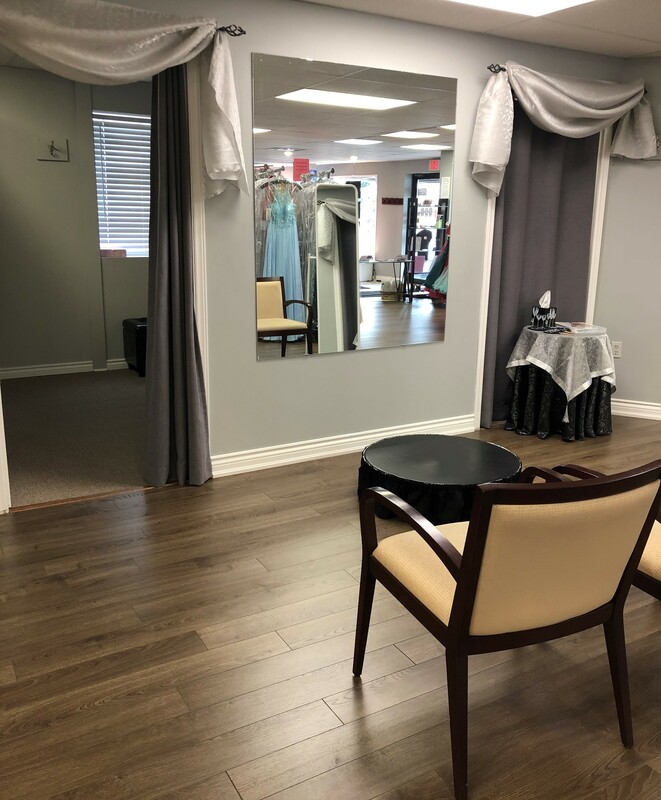 Three change rooms, comfortable seating for the bride and other members attending the appointment but not trying on, and two big mirrors. 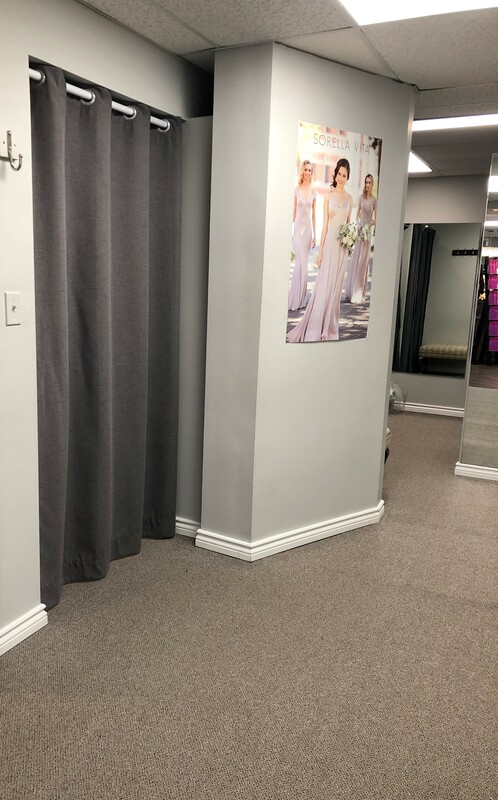 Don’t worry if you have more than 6 bridesmaids coming in to try on, we will schedule your appointment in another area of the store that has 6 change rooms. 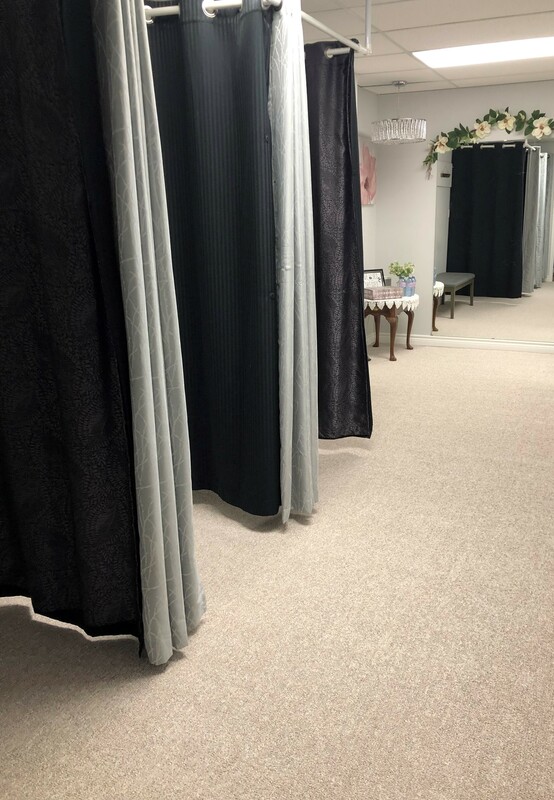 Booking an appointment when coming to shop our dresses is strongly recommended as it guarantees you a change room. Appointment time is 1 hour. 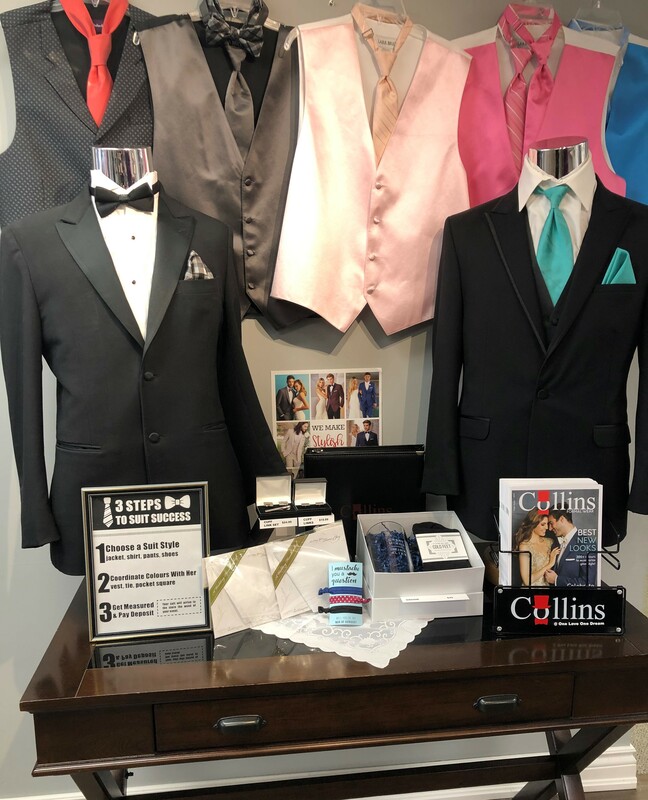 We also ask you to please book an appointment when you are coming in to get measured.